Definitely not the easiest to warp at the beginning. I had to watch the YouTube videos by both Ricks Loom and Beadaholic several times, but once I realized what I'd been doing wrong, the rest was easy. I'm so impressed at how evenly spaced and tensioned my beads are and I cannot wait to finish this bracelet! Here's the thing. There are much better looms out there to invest in. I found it difficult to manage the warp threads. In addition, the weft threads snag on the hooks when pulling through. It true that you finish with less warp threads to be concerned with, however, the finishing of the final rows are frustrating. 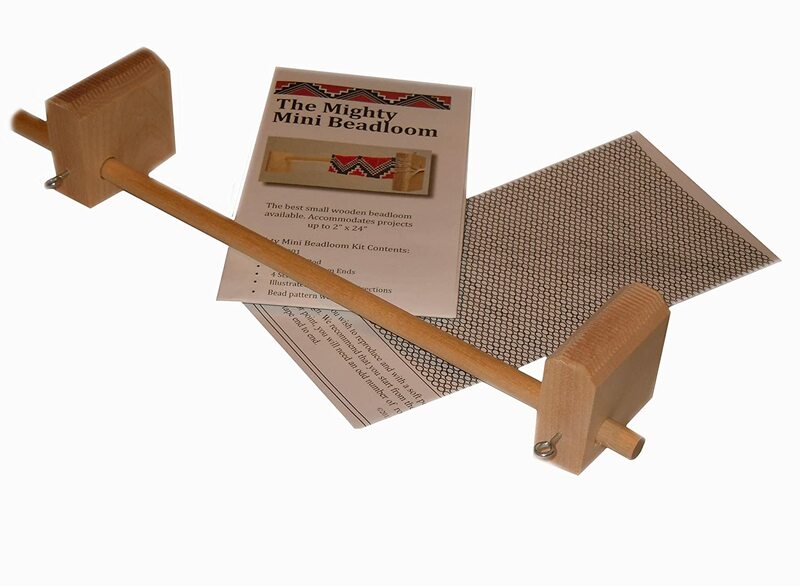 If you are new to bead looming, start with a very basic loom or make your own. 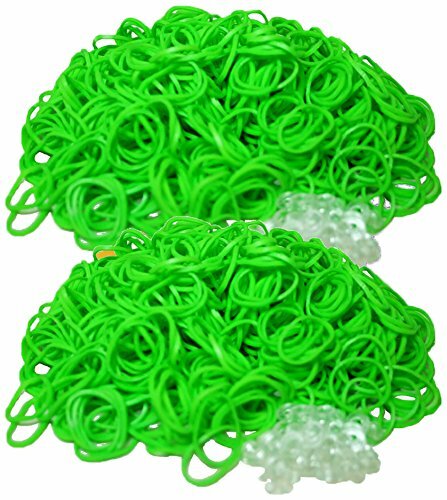 Save your money for beautiful beads! I've only had this loom for a few hours, but it's enough to have finished a small project and gotten a good impression of working with it. I love it already -- I like to make really wide cuff bracelets with 11/0 and 15/0 beads. With a regular loom, I end up with 30 or more warp threads to deal with, so I always end up having to back the piece; even then, it's a chore finishing off with all that thread to deal with. Having two warp threads at the end is a HUGE time and headache saver. One caveat: I definitely agree with another reviewer who recommends weaving through a few rows at each end before taking the piece off the loom. Those ends tend to be really floppy otherwise. But an extra few minutes to weave through 5 rows or so firms them right up and preserves your pattern. Highly recommended for both beginners and more advanced bead weavers! I've made three bracelets on this loom so far. While I am experienced with making other types of jewelry, I have never used any type of loom before and consider myself a beginner when it comes to beading. There are several videos on YouTube about this loom, and I would suggest watching them before beginning. Overall, I like using this loom for several reasons: 1) The most obvious reason is that there are very few threads to weave into the finished piece. I dislike that tedious sort of finishing work and very much appreciate that it is greatly reduced by the design of this loom. 2) I like that the loom is tilted slightly toward the user, which cuts down on neck strain. 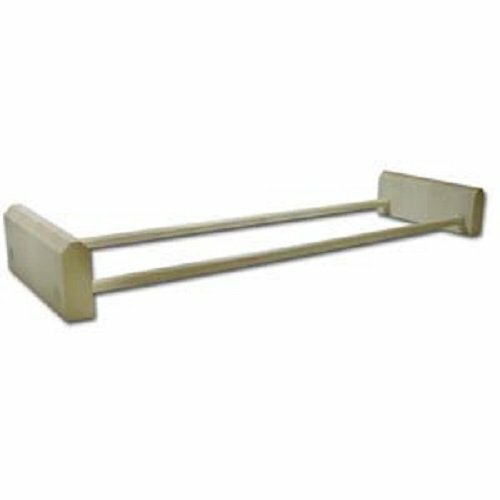 3) I like that it's made of wood and feels relatively sturdy after it is put together and the pieces are adjusted. (Before adjustment, it was very wobbly. This is a non-issue to me, but something that others might want to be aware of.) 4) This loom makes quick work of the whole process, as a project can be set up very quickly. I was very surprised at how quickly I was able to make a bracelet (about an hour starting with setting up the loom and ending with adding a clasp to the fully beaded bracelet-- a project that was 6.5 inches long and 8 beads wide). There are some cons to this loom as well: 1) You must decide the length of your piece before you begin. I do not always know exactly how long I want a piece to be (e.g., I like to try on bracelets while making them, as bead size/style affects the necessary length), so this is a slight annoyance. 2) The build quality is not great. I have trouble with some of the pegs falling out of the holes. In general, I enjoy this loom and find it easy to use after some trial and error. There is a learning curve that can be mitigated by watching videos and practicing, as with most other crafts. Experienced beaders may have an easier time starting out. 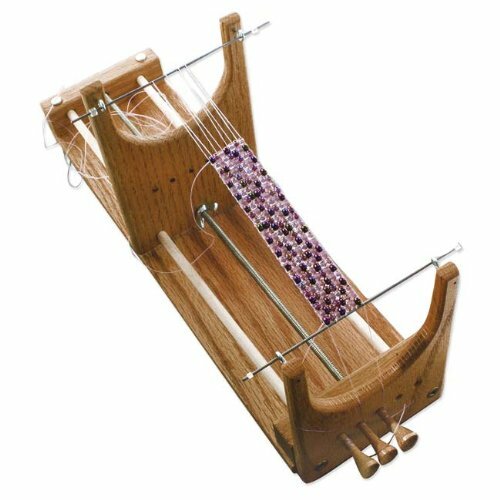 I am interested in trying other styles of loom and seeing how they compare to this one. As a side note... Other reviewers have commented that the metal rods bend easily-- and this happened to me as well. However, I discovered that they were bending because I had wrapped my warp threads MUCH too tightly. Once I got the hang of threading the loom properly, the rods no longer bent.